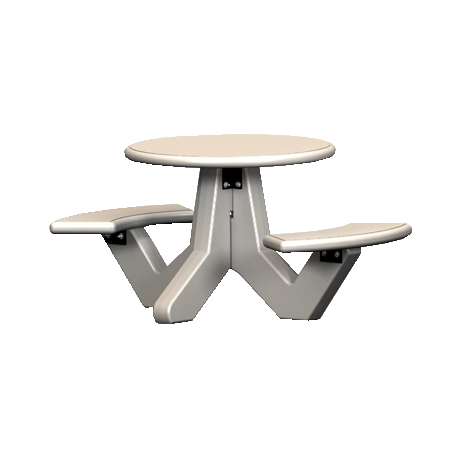 Give visitors a place to enjoy a delicious picnic under a shady tree, or even in an outdoor food court with these commercial picnic tables! Constructed in a variety of materials including plastic coated, wood topped, recycled plastic and concrete. 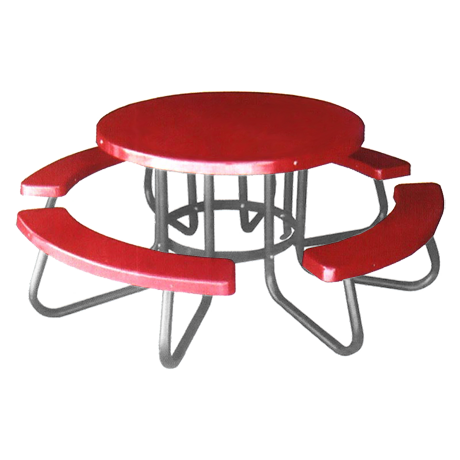 We are confident that you will find the perfect picnic tables to furnish your park, restaurant, school, university or recreational area! 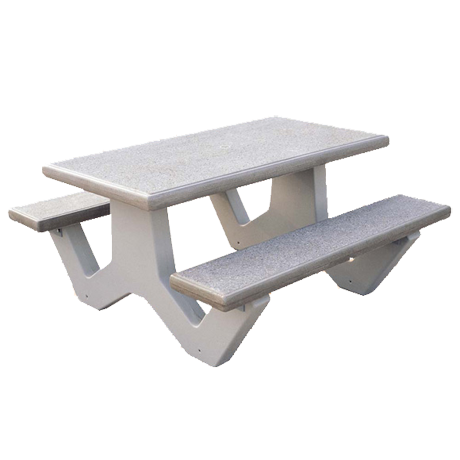 When looking for the perfect picnic table, be sure to allow two (2) linear feet on a bench for each person. 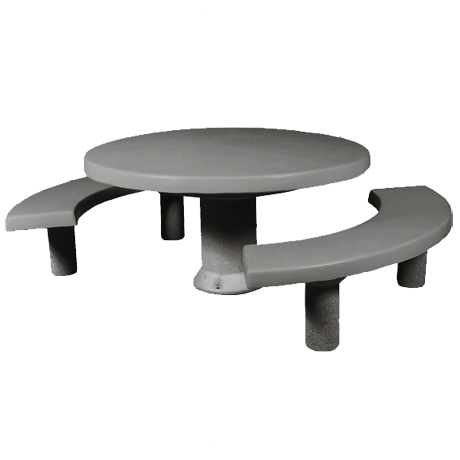 Picnic tables are available with three mouting options: portable, in-ground or surface mount, so you can permanently ground your table or move it from location to location. 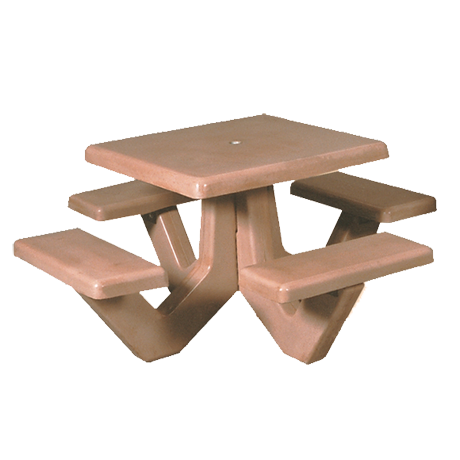 Many tables have ADA compliant models and matching child sized tables so you have comparable picnic tables. 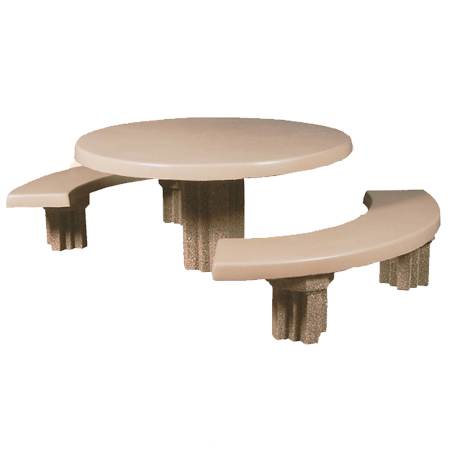 Optional backrests can provide added comforts for your guests. Offered in an assortment of colors, styles and shapes, you will certainly find the picnic table to add a splash of color to any area! 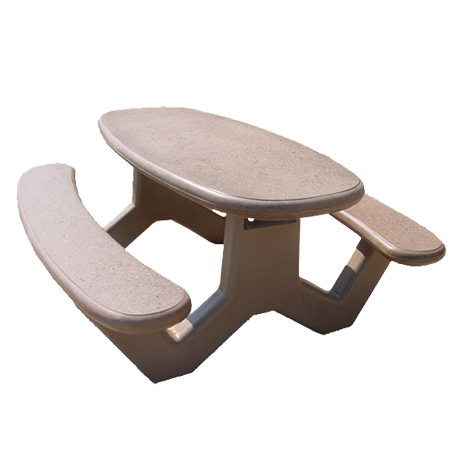 Check out the trash receptacles, park benches and umbrellas to complete your look! 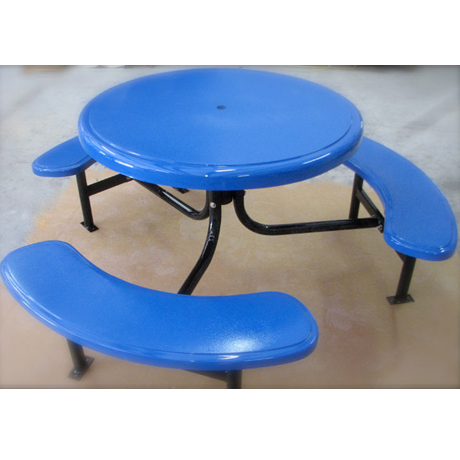 With so many picnic tables on the market, it can be quite a task choosing the perfect commercial picnic table. 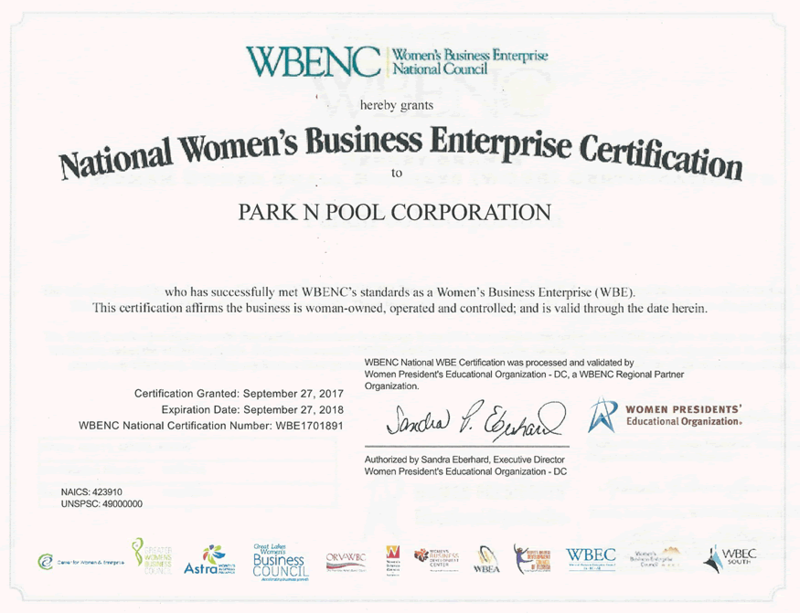 The ParknPool Power Promise allows you to return your picnic table within thirty days if you are not satisfied, which means you can shop with confidence. 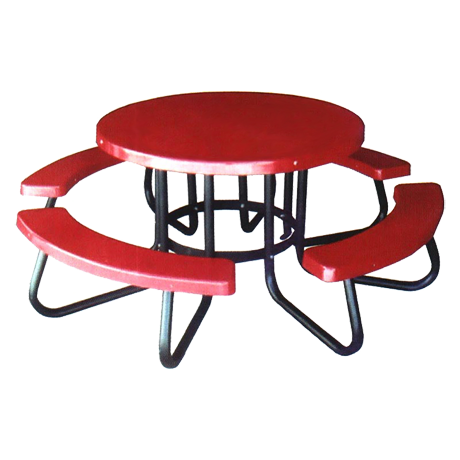 Our account managers will assist you in selecting the ideal picnic table that will create an outdoor area that brings friends and food together! Call 877-777-3700 and let our friendly sales staff help you choose the picnic tables that are right for you!